Today I am home following an all-nighter with Ellie girl who seemed to have eaten something that didn't agree with her. Eric is also under the weather…poor babies!! I think it may have been the grilled cheese. The good news is that Ellie is on the mend, and I am getting some much needed cleaning done! Was this not the most beautiful weekend? Gosh, we enjoyed it! 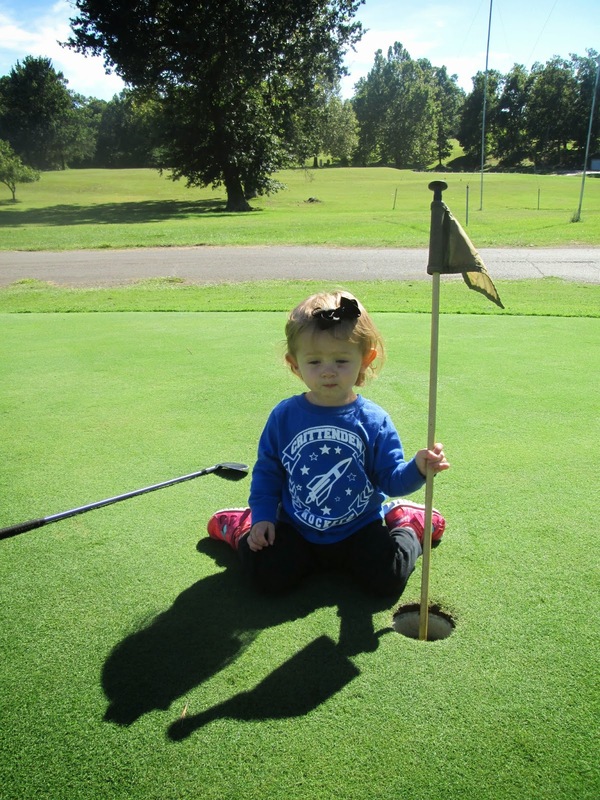 We left Friday for Marion to visit Eric's mom and Dad and for Eric play in a golf tourney. Of course, both kids slept on the way and were up late, but it wasn't as bad as when we went to Lexington. Saturday morning we got up and played around the house until it was time to go to the golf match. 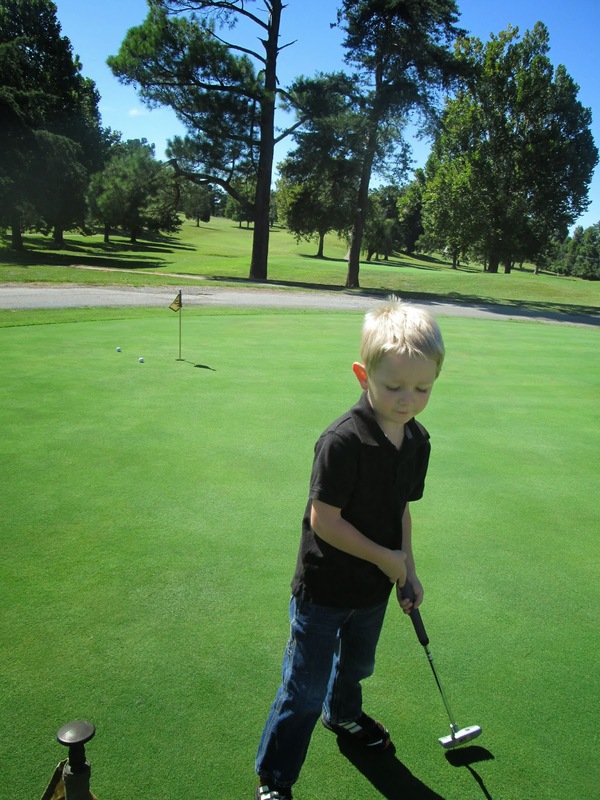 The course had a little chipping green in front of the clubhouse that gave my kids HOURS of entertainment. Ha! 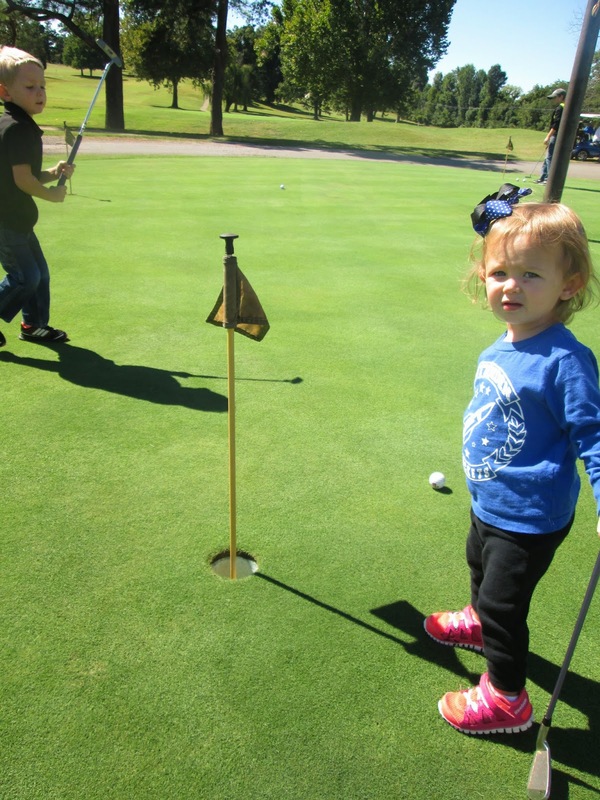 Eli thought he was on the PGA Tour, and Ellie kept running off with the little flags. After playing the first nine holes, the golfers came in for dinner before finishing the last nine with "Glow Golf." The kids got kinda restless, so we took them home. Sunday was more family time before hitting road and heading back to watch Miss America…more on that later. By the way, meet Minnie Mouse. 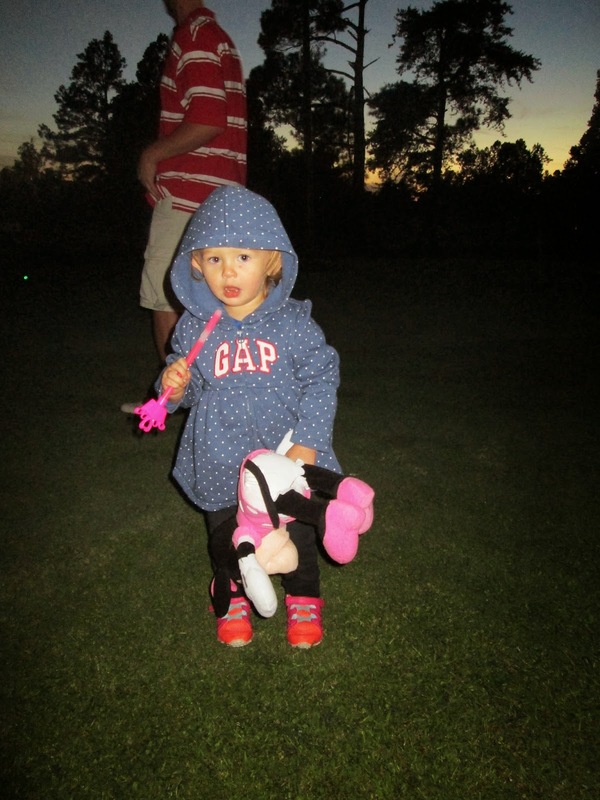 She is Ellie's newest pal…thanks NAN!! !